Everyone is getting extra shares of chard and spinach at the moment as we experience a glut of this delicious and versatile green vegetable. 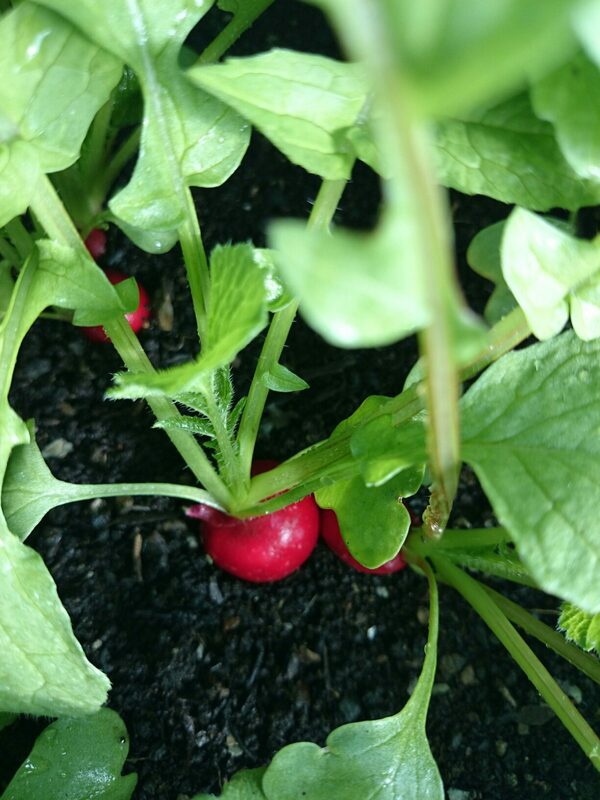 The increased warmth and light is bringing on other over-wintered crops like mixed salad leaves and parsley as well as the early sowings of radishes and spring onions. 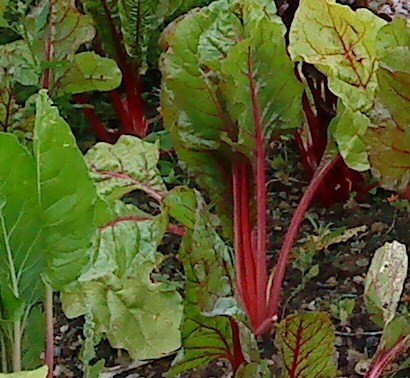 One vegetable that thrives during a wet English summer is Swiss chard. Camel CSA has a huge bed of it in rainbow colours and the picking usually involves us in a big team effort. Heat the oven to 190C/375F/gas mark 5 and lightly grease a shallow, ovenproof dish. For the sauce, put the milk into a saucepan with the onion, bay and peppercorns. Bring to just below simmering point, turn off the heat and leave to infuse for at least 30 minutes, and an hour or two, ideally. 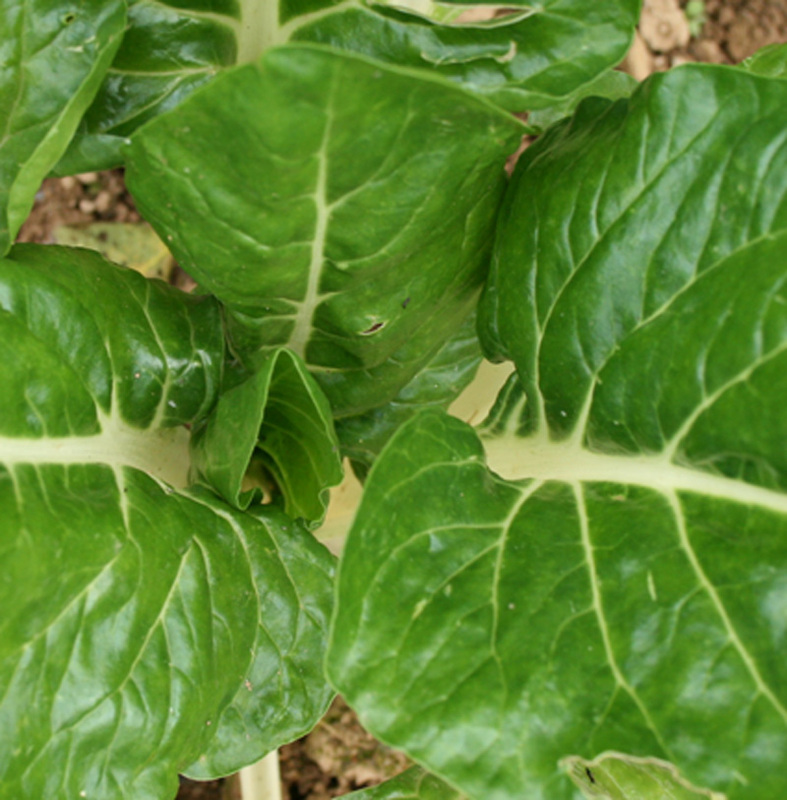 Meanwhile, separate the chard leaves from the stalks, and cut the stalks into 1.5cm slices. Bring a large pan of salted water to a boil, drop in the leaves and blanch for a minute or two, until just wilted. Remove the leaves with tongs, drain and, when cool enough to handle, squeeze out excess water with your hands, then roughly chop. Meanwhile, drop the chopped stalks into the boiling water and blanch for three to four minutes, until just tender. Drain, toss with a knob of butter, season and spread over the base of the oven dish. If the infused milk has cooled completely, warm it gently, then strain into a jug. Melt the butter for the sauce in a medium saucepan over a fairly low heat, then stir in the flour to form a smooth paste (a roux). Cook gently, stirring frequently, for a minute or two. Remove from the heat and add a third of the milk. Stir vigorously with a wooden spoon or whisk until you have a thick, smooth paste. Add the rest of the milk in one or two lots, stirring it in until smooth. Return the sauce to the heat and bring to a boil, stirring. Let it bubble for two minutes, stirring every now and then, to “cook out” any taste of raw flour, then turn the heat right down. Add the cheeses and mustard, stir gently until they melt into the sauce – don’t let the sauce boil, or it may curdle – and season. Stir the chopped chard leaves into the hot cheese sauce and pour over the stalks in the dish. Scatter with the breadcrumbs and a trickle of oil, and bake for 20 minutes, until golden and bubbling. This recipe from is similar to one of my favourite comfort dishes – Swiss chard and potato gratin. Camel CSA’s hard-working secretary Mike Sadler loves fennel, so we’re sowing a whole 120-module tray of it especially for him. The seedlings will be planted outdoors later on our plot. Other jobs for the growing team this Sunday morning include sowing more cabbage, chard and perpetual spinach (leaf beet) into modules. 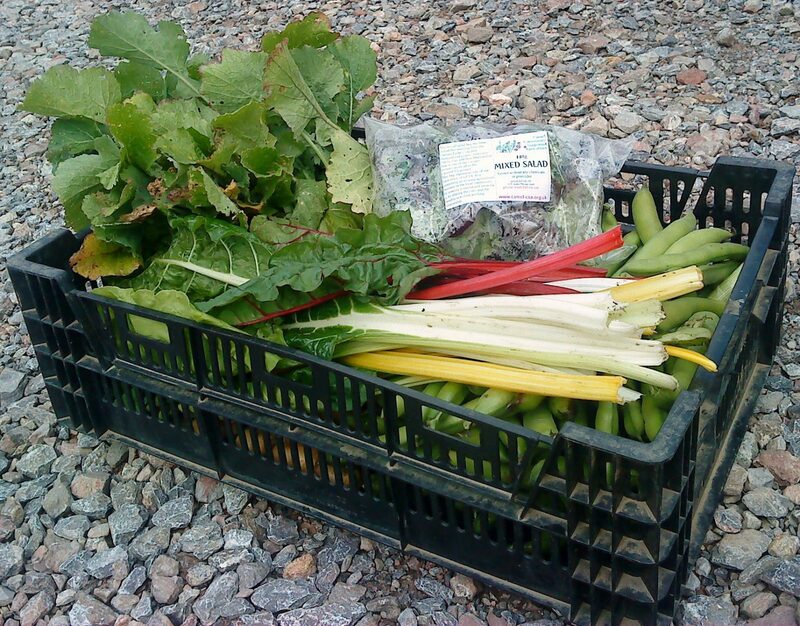 We’ll also be planting rocket in the polytunnel to add variety to our salad bags. There’s parsnip seeds to sow straight into the ground as well as more onion beds to prepare and onion sets to plant. 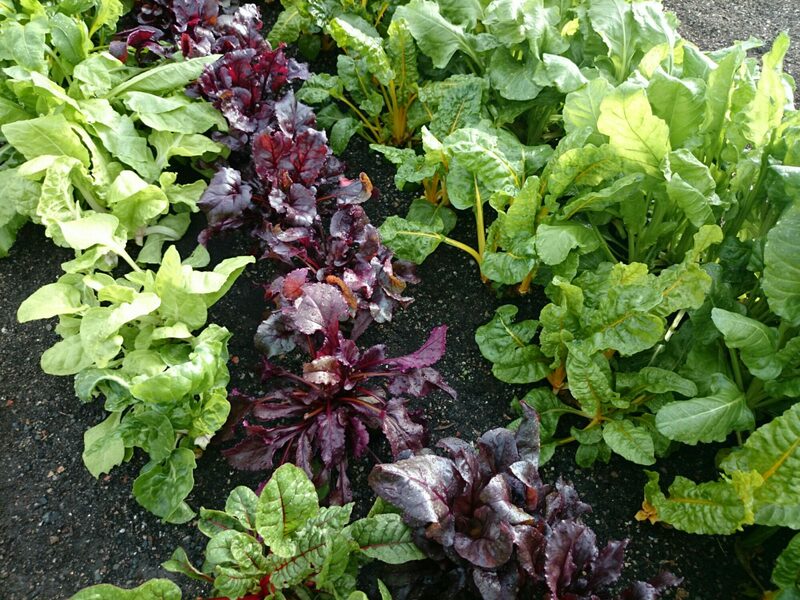 Apologies to CSA members with small veg boxes who had perpetual spinach rather than Swiss chard this week! Still good for you, though. Apparently, the Swiss prefix came about in the 19th-century to distinguish it from French chard, which we now call cardoon. Rinse the rice in cold water, then tip into a saucepan with twice the volume of cold water. Bring to the boil, then simmer gently until cooked – about half an hour. Meanwhile, put a second pan on with salted water for blanching the chard. Trim and chuck away the very ends of the chard stalks, then cut the stalks away from the leaves. Slice the stalks into 2cm-thick pieces and leave the leaves whole. Blanch the stalks first for about three minutes, then remove from the pan with a slotted spoon, cool under running water and set aside. Now blanch the leaves for three minutes, rinse under cold water and set aside separately from the stalks. Zest the lemon and put it with the chard stalks. In a bowl, mix the garlic with the juice of half the lemon, a couple of tbsp of the olive oil and some seasoning. Squeeze the water out of the chard leaves and coat them thoroughly in the flavoured oil. Oil a baking tray and pre-heat under a very hot grill. Make a cut down the length of the chicken breasts, but not all the way through so that they open up like a book (this is called butterflying for obvious reasons). Season the meat, then lay on the dressed chard leaves. Top with slices of mozzarella and tomato, and finish with a little salt and the oregano. Grill for 10-12 minutes. When the rice is cooked, stir in the chard stalks, some salt and a good splosh of olive oil and serve with the chicken on top. Another excellent recipe from the Riverford Organic Vegetables website. 1. Remove and roughly chop the green part of the chard leaves. Cut the stalks into 2cm lengths and steam for 10 mins. Stir in the green leaves and continue to cook for a few minutes. 2. Wash the potatoes and cut into 1cm slices. Boil for 5 mins until just tender. Drain. 3. Grease a shallow baking dish and layer with half the potatoes, the chard, then the remaining potatoes. 1. Melt the margarine and fry the crushed garlic for 2 mins. Stir in the flour and continue stirring for 1 min. 2. Gradually add the milk, stirring continuously until the sauce thickens. 3. Add half the grated cheese and season with salt and pepper. 4. Pour the sauce over the vegetables and top with remaining cheese. Bake at 180° Mark 4 for 35 mins. 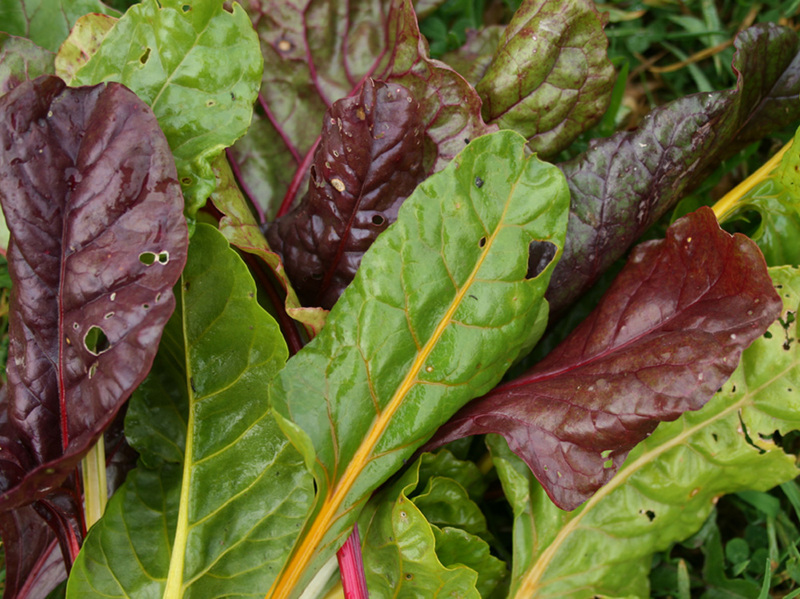 Do you have a recipe for Swiss chard that you would like to share with the rest of us? Just click on Comments at the top of this article and let us have it! 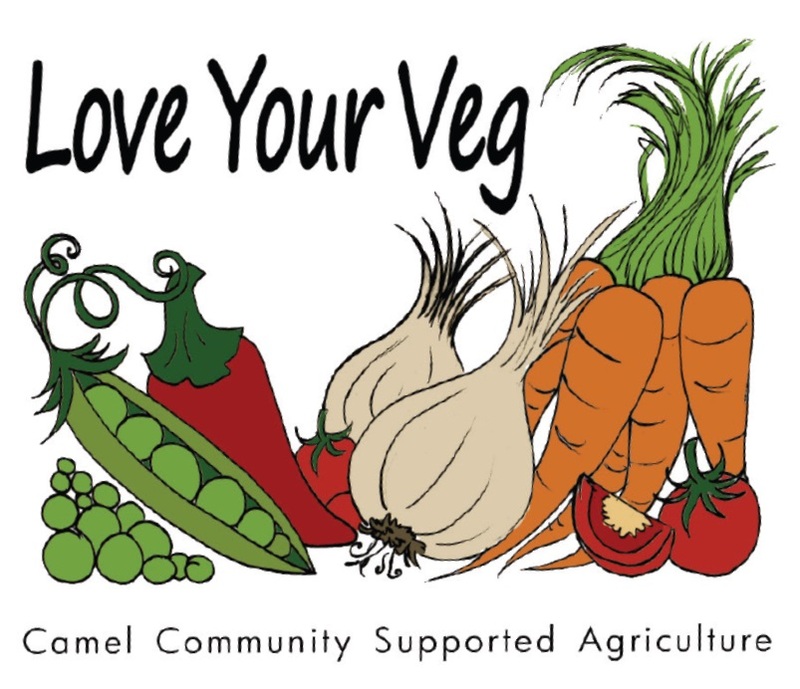 We’re having an extra mid-week volunteer session on Thursday as there’s so much work to do at Camel Community Supported Agriculture. Charlotte, Kitty and Mike S have already put their names forward. We need to plant out brassicas, celeriac, parsley and spring onion plants and, if we have time, sow sweetcorn and squash seeds. If you’re able to give a hand, we’ll be on the site this Thursday 28 May between 10 a.m. and 1 p.m. Click here for directions. If you can’t make it on Thursday morning, why not give expert grower Jeremy Brown a ring on 07971762227 to find out when else it might be convenient to help out. Last Sunday’s team deserves special praise. Everyone got down on their knees and hand weeded. The onion, shallot and Swiss chard beds were comparatively easy to tackle, but weeding the carrots by hand was an exacting and extremely fiddly job. The air was blue at times. We’ll savour every single one of those carrots when they appear in our weekly vegetable boxes! 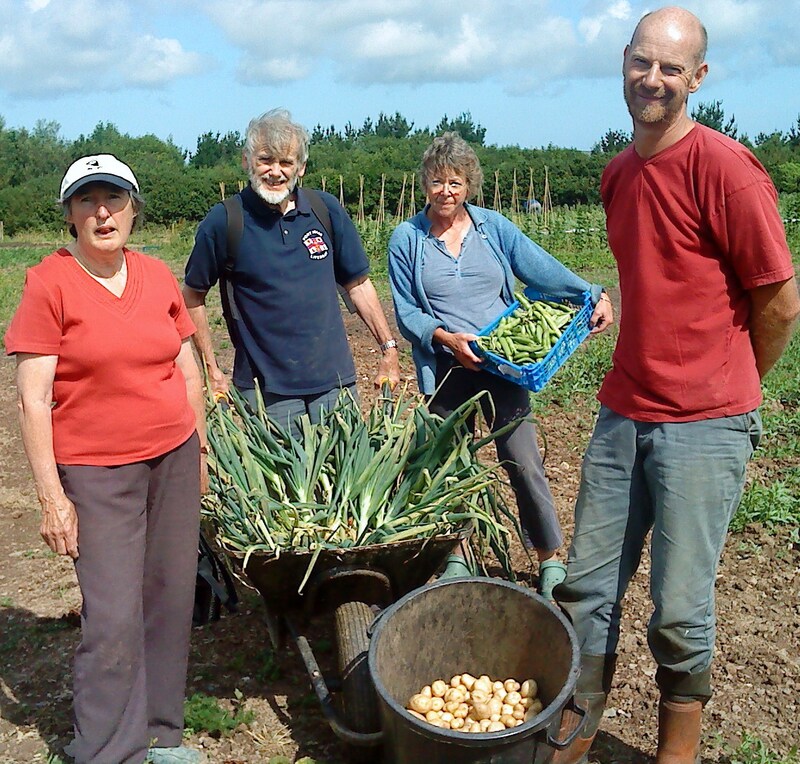 Grateful thanks to volunteer expert growers Jane, Jeremy and Mark and to their willing helpers – Beverley, Cath, Carolyn, Charlotte, John, Kitty, Mike H and Mike S.
There’s so much effort going into preparing the first vegetable shares, which should start to be available in mid-June. A lot of thought is being given to when and how they will be picked, packed and distributed. We’ll be working on the site as usual next Sunday from 10 a.m. to 1 p.m. Do come along and enjoy the fresh air and exercise. It’s not all hard work. It’s good company – and fun too. Members are more than welcome to volunteer to work during the week – not just on Sunday mornings. 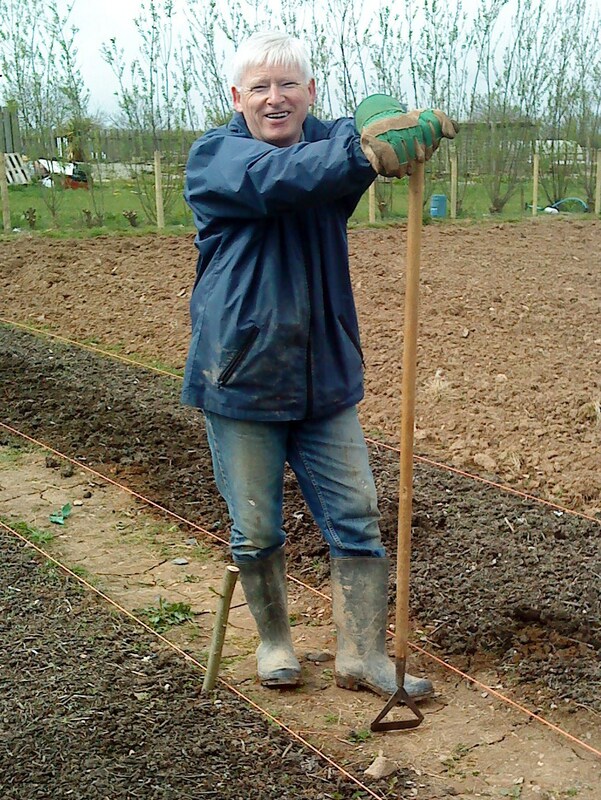 Give expert grower Jeremy Brown a ring on 07971762227 to find out when it might be convenient to help out on Camel Community Supported Agriculture’s vegetable beds. Weather permitting, of course! He’s there every day as a member of the farming family who own the land and who have generously offered it rent-free to Camel CSA for the first few months. 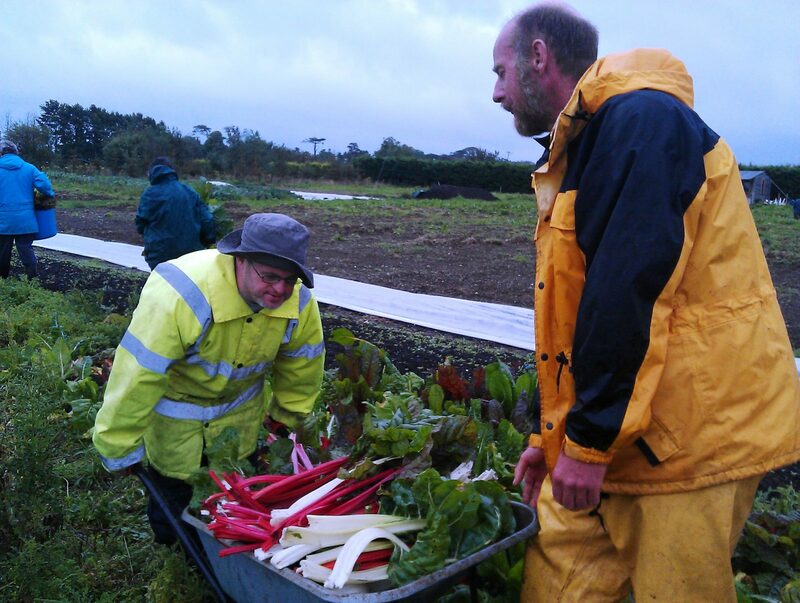 He grows his own vegetables on the adjoining plot to sell at St Kew Harvest Farm Shop. Jeremy can arrange to meet you on the site and explain what jobs need to be done. These might include sowing seeds in the potting shed, spreading compost on new beds and weeding around our emerging crops. Last Sunday we got several new beds raked, fresh compost spread and more seeds sown, including an extra row of peas and some more radishes. We planted out beetroot and chard seedlings and hoed up weeds in the pea, onion and shallot beds. The devastation to the first rows of peas that had to be replaced was caused by the pea and bean weevil, not slugs. Apologies all round. Either the resident pheasant or a partridge has been having a go at the spring onions, but the damage is not lasting. A big thank you to Sunday’s energetic crew – volunteer expert growers Jane, Jeremy B and Mark N and volunteer members Carolyn, Charlotte, Diana, Kitty, Mike H and Mike S.
We had a useful discussion during the tea break about the kind of activities we want to organise for the Open Day on Sunday 7 June – Open Farm Sunday. Any suggestions welcome. 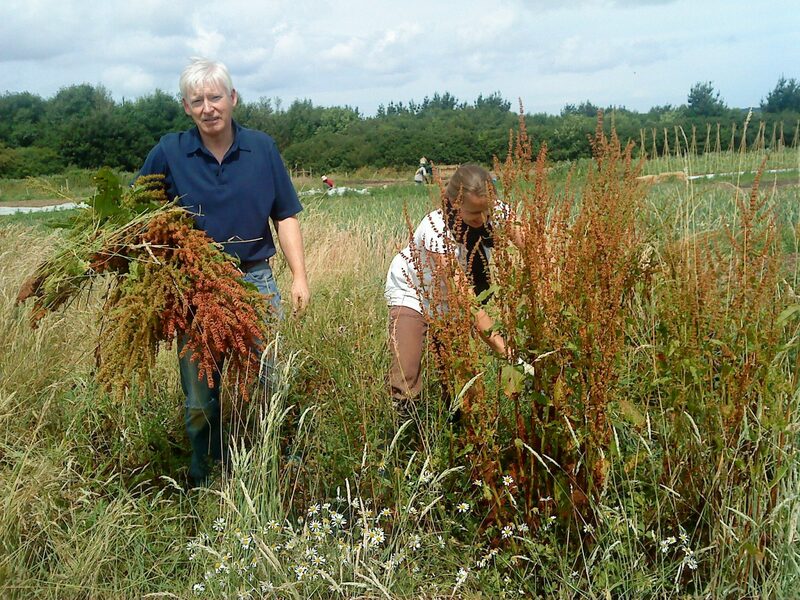 Click here to view our entry on the Open Farm Sunday website.